With the Nintendo Switch seemingly going from strength to strength in terms of its growth, Nintendo’s dated 3DS seems as though it’s becoming an increasingly smaller part of the company’s near future plans. Even so, Nintendo is a company that loves to surprise its fans with some left field announcements, like the fact that the original Luigi’s Mansion is making its way to the portable later this year, and a pleasant surprise has been found by some fans in the latest system update, which just went live. Now, on the surface it might not seem like much, but eagle-eyed readers may notice that the word “stability” pops up at least once in this extensive update. We’re just speculating here, but this so-called “stability” sounds like it could potentially be a game changer for the system’s OS. What do you think? What could this new “stability” mean? Share your thoughts in the comments below. My 3DS is so stable that new games are still coming out for it! Stability: it is what the people want! My 3DS is so stable, it never falls! NintendoLife is always so snarky about this sort of thing. You guys complain non-stop about stuff like this but then jump to Nintendo's defense as they cut virtual console. I just don't understand. One of these days, the update will be something like "We're ditching the 300 downloads limit and allowing SD Cards up to 512GB!" for the convenience of every gamer going forward. I was definitely fooled, eagerly reading the article thinking there was actually something cool in the update. My 3ds may be getting more stable but this article made me a little more unstable. If only Nintendo could update my brain. I wish life was as stable as my 3DS. It definitely feels more stable now, this was a much needed update. Alright Mitch, ya got me, I’m sitting here reading thinking this is going to be some data mined info on a new 3DS Zelda and, POW, hits me right in the kisser with some stability! The fact that the 3DS has been around since February 2011 and is around version 11 and the Switch has been out since March 2017 and is already around version 5 just baffles me. @Executer66 Nintendo does not care about version numbers. I remember the 3DS having an update where they bumped the number up from 8 to 9, or something like that, and it was just a "stability" update and nothing else. If anything at all, the last set of numbers indicate what number version this is. In this case, the number is 40, which means this is the 40th software version for the 3DS since release. A stable handheld for an unstable person...I could I have been so blind? Every time a new 3DS OS update comes out, I think to myself: "Nah, Mitch won't keep the stability jokes going... not this time." And, every single time, you do. And I love you for it as, every single time, it still makes me smile! 😊 Never change, Mitch! If only the new update = Free Region update so enough Region Locking. I wanna play Dillon's Dead Heat Breaker PAL version (Retail) on my USA New 3DS XL. @Anti-Matter You took the words right out of my mouth... or touchscreen... or whatever words are taken out of on a mobile device. In any case, I too long to play imports that never got physical releases in the US; and Dillon's latest outing is at the top of the list. An update that removes the useless Miiverse icon and all it’s traces on both 3DS and Wii U, and many of the games (especially Wii U) trying to connect to it, would make me feel much more emotionally stable. Soon it'll be stable enough to spin on its corners and never topple. This horse seems a bit dead, why is NL still beating it? You guys got me real good this time LOL. I kept reading hoping to see what the big deal is, and it's the usual joke. Why the hell didn't Nintendo reveal this at E3? This is the sort of major announcement that Nintendo needed in their direct. No other developer can compete with that kind of stability. 2016: This is super stable, it's more powerful than ordinary stable. 2017: This is even more stable, we'll call this super stable 2. 2018: And this is going... even further beyond! @Seacliff Whenever the final episode of Dragon Ball airs somewhere around the heat death of the universe, Goku will discover the power of stability and finally know that he's reached the top. Dear God stop with the stories about stability updates. The joke died long ago, now it's just tedious. @Mrtoad Now if only you can be stable behind the wheel, Mr. Toad! I think it's here to kill more flashcarts. This is amazing news, I can't believe Gamecube Classics Vol 1 is finally coming out, and to the Switch! I wonder how they'll get around the analog shoulder buttons for Fludd on Mario Sunshine. I guess time will tell. Sorry, what's that you say? This is an article about stability? Apologies, I got bored and made up my own news. Don't worry, it's built on a stable foundation. Half-Life 3 for 3DS confirmed!!!! My 3ds is so stable, that even with "hardware" health problems, the software is fully functional and is +7 years old. Woah, it can now undo earthquakes before they occur! @Heavyarms55 Well, for most people, me included, they are replacing VC with something far better if it is included in the online fee. Of course you wouldn't find that many complaining about it. Surely no handheld has ever stood this unflinching and immovable in the face this world's destabilizing forces. You may call this "stable", Nintendo. But the hardware flaw the 3DS has is already out in the open. @Heavyarms55 I think I've seen nothing but disappointment from NL staff about VC. With an "at least we're getting ACA, SEGA AGES and SNK Anniversary collection". Kill the 3ds line, kill it with fire! @Kirgo I really really want to believe you are right. That we are going to a wonderful plethora of games from across the eras. But a handful or NES and MAYBE SNES games is HARDLY better than VC. And that is all we have heard about for sure. And we don't even know the details of how it will work. Can we play them offline? Will games be added, or will they rotate? Sorry but until I get concrete details, and confirmation of games from NES through Gamecube, there is no way I would even consider it on par with VC, let alone better. Don't get me wrong, we don't need to get all the games at once, but confirmation that we are getting them would be needed. Sorry, right now, based on what we do know about the online service's selection of retro titles, it's a joke compared to the VC library. @Heavyarms55 who's cut Virtual Console? My Switch has more 'retro' games than I care to mention. @GKO900 Rhythm Heaven's TOTALLY worth 40, though. Like, absolutely worth it!!! One of my favourite games on 3DS. @Jayenkai I would totally pay the 40 but only physical copy why would I paid same price for a digital version the highest price for me in the digital world is 10 maybe 15 if it's a game a really like but 40 never digital especially when I can buy games for less on PS4 like infamous second son for like 4 bucks and more. @Yoshi Actually, there are more than 40 software updates. The last number doesn't always increment. Take, for example, 10.2.0-28 and 10.3.0-28. 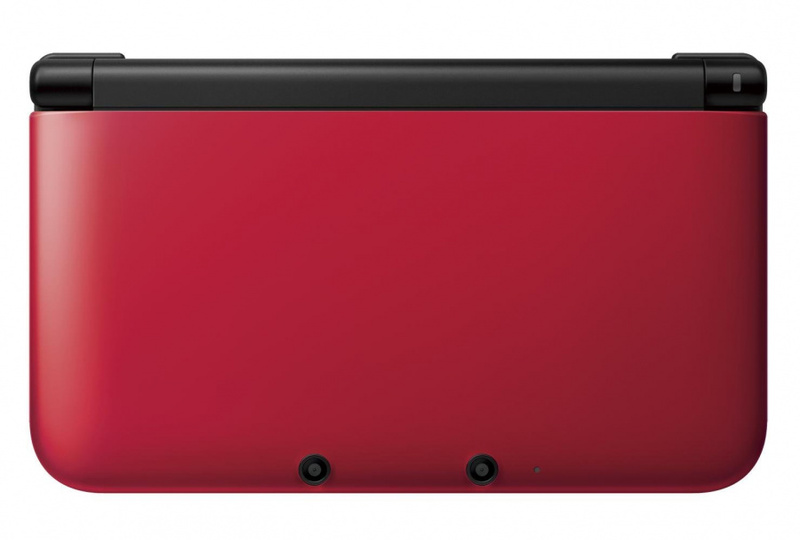 A new 3ds is what we want. One with a slightly bigger screen and slimmer, that connects to the Switch Dock for TV play. The name could be change to the Switch 3d. And at the other end we could have a higher spec. Switch, 4k graphics that is not handheld. Games could adjust to the console they are played on. I just wonder: when was the 3DS unstable anyway? nintendo won't add anything new like regionunlocking or whatever. For 2+ years these updates WERE ALL STABILITY UPDATES. 3DS owners should be thankful every update that it doesn't take away Netflix or the Web browser so it doesn't continue to make the Switch look bad. Less joking, more relief from here on out. Can’t you see my operating system’s stable? I wish it was an implantation of some connectivity with Switch. Like matching the OS, the look or feel or something useful. @Heavyarms55 Fair enough, I am just personally pretty sure there will be more than just NES games. For once because the whole idea of giving the games online features seems wasted If it is just for NES games. Generally it just seems strange to only included NES games. @Kirgo I hope you are right, I hope it ends up being awesome and having many games from many eras, that seems like a good route to take. If the service evolved into "Retro Nintendo Netflix" that'd be awesome (so long as the games weren't streamed and thus online only and laggy). But we don't know. We just don't know enough about it for me to feel confident right now. i was just thinkin about an update yesterday. But hey, is it as stable as the switch? I had a nightmare last night about my 3DS not being as stable as usual. @Heavyarms55 what do u mean they complain? At least I know my 3DS still resides under sweet, caring stability and hasn't been put out to pasture yet! @VR32X This latest update still leaves that annoying Miiverse icon at the top of the screen? That's strange. I constantly see the green notification icon even though I go in and clear it out. @Taffy Love the Red Dwarf avatar. NintendoLife is like that friend that just beats an old joke to death 10 years after the joke was considered no longer funny. I bought the E-shop version for my USA 3DS , will buy again the PAL version (Retail) and wait until i bought PAL 3DS. Everytime this happens I think of that first season Pokemon episode with Medapod v Medapod. My 3DS has been hacked for almost 2 years now, stability just means they are plugging security holes. The 3DS is now so stable that it flies all by itself. My 3ds is now so stable that it includes some hay and a couple of horses! The news could state the reason behind the update: to comply to the european rules (concerning users datas management). @1UP_MARIO Me too! I just got Super Mario 3d Land earlier this month and for the holiday season I would like to get JD2017/2018 for Wii and either Pokemon Omega Ruby or Luigi's Mansion Dark Moon for 3ds(as I have the original Luigi's Mansion for the Gamecube and before getting the 3ds remake I would like to see how Luigi's Mansion plays on 3ds). @NintendoFam99 I’d recommend luigis mansion 2. It’s a great game, really enjoyed it.